Why Buy a Foot Massager? 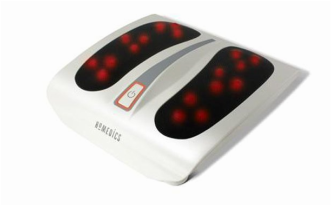 Electric Foot Massagers soothe and relieve aching feet. 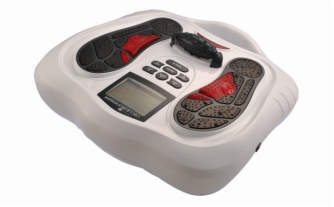 Some Massagers ease the discomfort felt by people suffering from conditions such as Plantar Fasciitis; but, the machines we review here are aimed squarely at those who want to sit back at the end of a long day and bring bliss to their soles. Whether that's a policeman who has been walking the beat, a nurse patrolling the wards or an elderly citizen who wants to ease the aches and strains of the day - whatever the cause, a Foot Massager can help. ​The ideal Foot Massager would be a professional human massage therapist, but in lieu of such luxury, there are electric powered Feet Massagers on the market that can bring exquisite relief without breaking the bank. 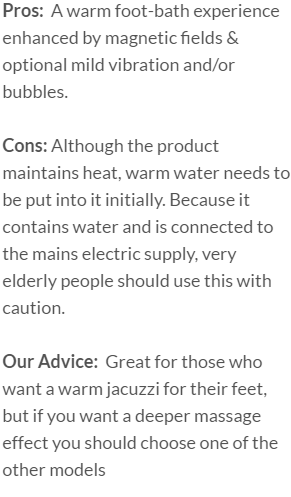 What to Look for in a Foot Massager? How the relaxation effect is achieved: Having a Massager that can relax your feet and too bring your whole being to a state of de-stressed ease, is very much a subjective choice. Some people prefer a kneading effect similar to that a Shiatsu practitioner would give, others enjoy the tense-relax effect caused by mild electric pulses of a TENS type of machine - and then some folk swear by a warm bubble bath for the soles of their feet. 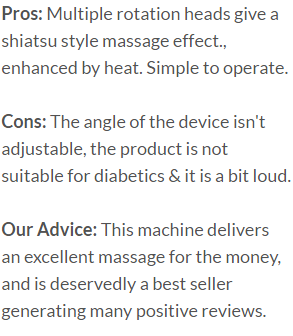 Price: We've included the 'best for the money' examples of each Massager type, that our research threw up. These models aren't the 'all dancing' 'all featured' out of range of the average person's budget models, nor the cheap machines liable to break or lack appropriate function. ; but rather, the lowest priced models that we think do a damn decent job of what they are supposed to do. 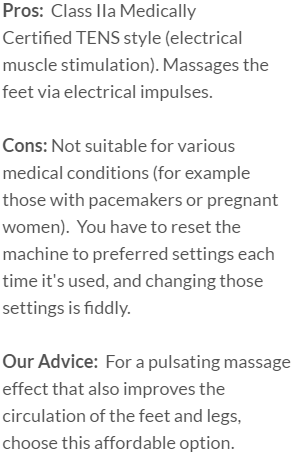 Contra-indicators: Electric Foot Massagers can be dangerous for certain people. We've briefly mentioned non-suitability in our reviews - but you should check the product's exact specifications/warnings if you have any doubts. Ease of Use: Some Electric Foot Massagers require a flick of the switch and the placing of feet to begin their magical effect. Others need water added first, or various functions calibrated etc. Extra Features: Would you want to change the intensity of the massage, the speed, the warmth? Would you want to change these things whilst the Massager is in action (and thus possibly need a remote control)? More expensive machines can give you extra operations and features.